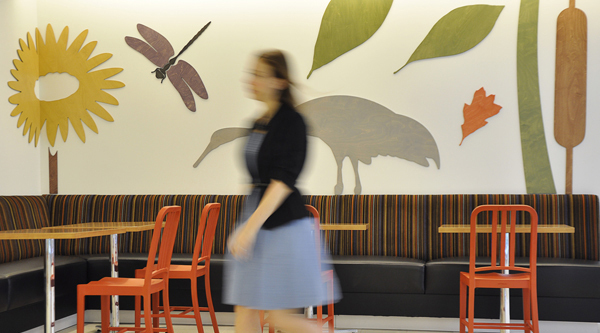 The firm recently transformed NRDC's Washington headquarters with graphic murals and signs that depict some of the group's key species for protection. 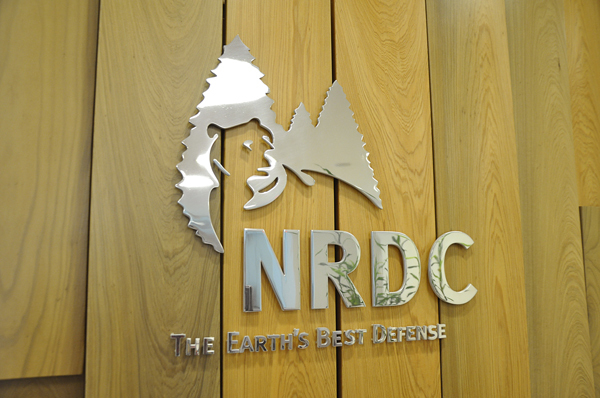 The NRDC doesn't only advocate for wildlife, but also lobbies for cleaner oceans, forest management, and restoration of habitats. 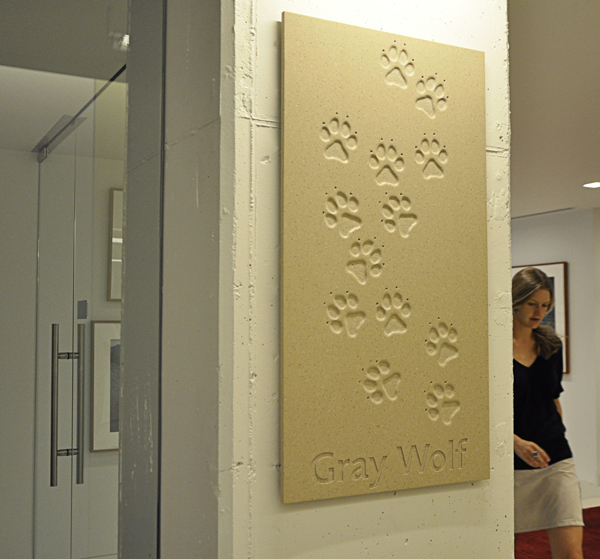 The playful shapes now on the lobby walls represent key flora and fauna – including one of the NRDC's most crucial causes, the Gray Wolf – using sustainable, nature-derived dyes and woods.